They’ll grip onto these custom rubberized tumblers – 24HR! 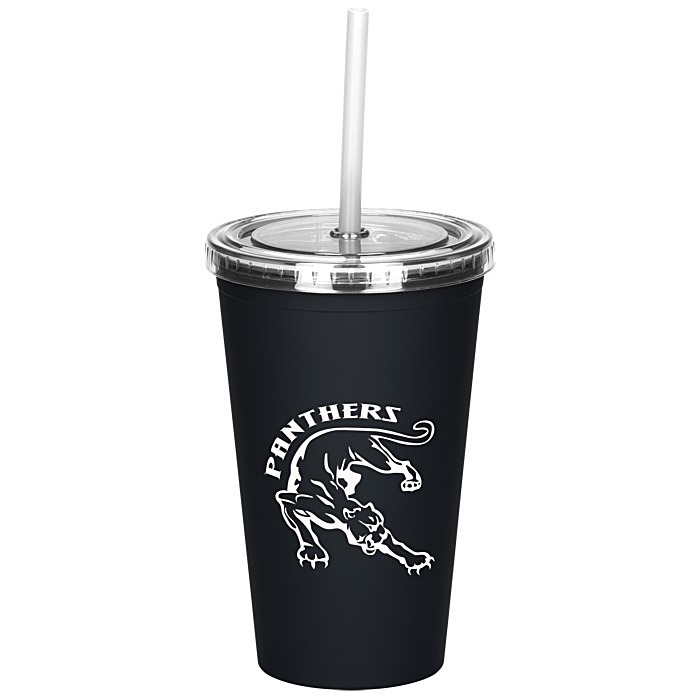 This to-go tumbler is made of double wall acrylic. Dual wall construction is perfect for insulating hot or cold beverages. Features a screw-on lid and a reusable plastic straw. Each tumbler has a rubberized, matte black exterior. BPA-free acrylic (plastic #7) can be recycled in only a few limited areas, check locally for more information. Your price includes a one color imprint on both sides of the tumbler.